It's OUTBACK's birthday and we're celebrating with a special 20th anniversary edition. In this issue we take a look back at some of the fantastic stories we've covered in the past, revisit some of our favourite people, and take a behind-the-scenes look at how OUTBACK magazine has evolved over 20 years. 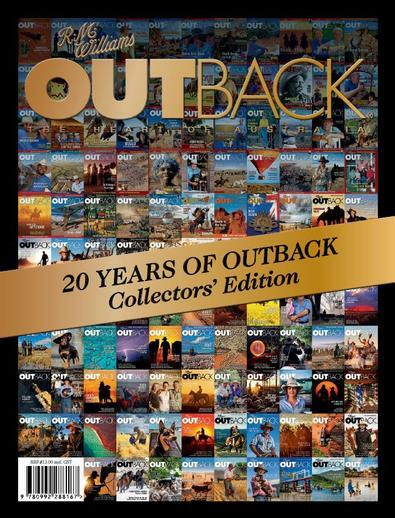 Be the first person to tell us what you think about 20 Years of OUTBACK: Collectors&apos; edition and you'll save $5 on your next purchase!